I'm looking to turn the edge of some .065" sheet metal into something substantially less sharp than it currently is. I have used flat files in the past, but have run into problems where if it catches, suddenly I'm filing along the file, creating notches in the edge of the sheet. Does anyone have suggestions on how to smooth/dull the edges of aluminum sheet metal that is around 24" on a side? 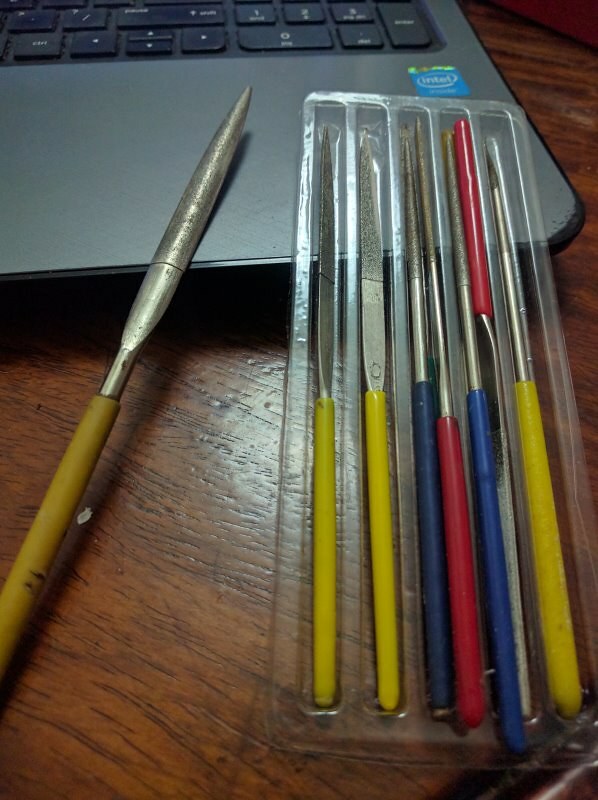 I was thinking a curved half round metal file would be perfect, as it would seem to remove the potential notching issue, but I'm not sure a tool like that exists. Ohh, yes, they do exist. You could also look for sanding-sticks as they are usually of a finer grit. I agree with Jhon, I would use a block of wood or steel block and some 600 sandpaper. If I did need to do it with a file I would use the largest fine file I could get and run the length of the file as parallel to the sheet edge as possible to reduce any gouging. The more the file is perpendicular to the sheet edge the more you'll run into that problem.